Lev Tmimim Lubavitch is like no other Yeshiva. Our mission is to Create Leaders one Bochur at a time. A leader does not mean a boss, a manager, a commander, or someone in charge (although a leader can be any of those). Rather, at MLTL leadership comes from communicating to each Bochur his worth and potential so clearly, that he is inspired to see it in himself. And that Leadership attitude is brought out in each Bochur regarding everyone else. In other words, he is a leader when he helps his peers see the greatness in themselves. This goal is achieved through the Lev Tmimim philosophy which is based on the understanding that every child, indeed, every person, is good. Our children, just like every one of us, want and need to feel loved for the intrinsic good of who they are, not for their achievements. This is the meaning of Unconditional Love. (Scroll down to ‘Emotional Wellbeing’ to read more about this, and how we achieve this). The emotional wellbeing and happiness of a child is the foundation for his success. 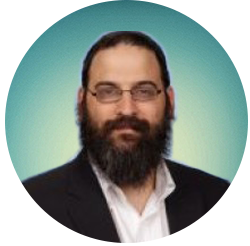 In a safe and nurturing environment of Yiras Shomayim and Chassidishkeit a Bochur can grow to love learning, challenge himself to go beyond his current level, ot of his comfort zone, and excel. MLTL maintains high standards of academic excellence and nurtures Talmidim in an environment infused with Hiskashrus to the Rebbe. We encourage curiosity, critical thinking, personal responsibility and self respect, as well as mutual responsibility and respect for other Talmidim. In such a way, we strive to foster a strong sense of self esteem as they mature during these critical years. We believe that communication with parents is of utmost importance and take pride in our responsiveness to parents’ concerns and involvement of parents as much as possible. We strongly encourage parents to be in regular contact with their son, and stress to our Talmidim the need to involve parents in their lives as much as possible while away from home. We believe that the Yeshiva experience benefits the staff as much as it does the Bochurim. We provide our staff with clear guidelines, expectations, and procedures. Our staff attend regular ongoing professional training and are encouraged to increase in their own learning. Our goal is for our staff members to grow each year together with their Talmidim and go מחיל אל חיל. 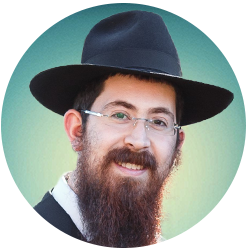 While raising Talmidim who are great in learning Nigle and Chassidus – the primary mission should be raising בעלי מסירות נפש for Ahavas Hashem, Ahavas HaTorah, and Ahavas Yisroel, and דוקא bringing to concrete actions. Chinuch must come through love and connection, as we can tangibly see that education through revealed love is more effective than education through fear and awe. Parents are updated weekly on Yeshiva life, special events, important announcements and schedule changes. Hanhola are always available and responsive to parents’ concerns. We believe that only with close collaboration can we meet the full needs of the Talmid. The Baal Shem Tov was systematic and orderly. The Maggid, his successor, insisted on order. And my great-grandfather – the Alter Rebbe – taught chassidim to be orderly. MLTL provides a traditional curriculum of Nigleh and Chassidus, while not losing focus of the goal of Talmidim graduating with a broad knowledge of Yedios Klaliyos, basic learning skills, and desire to learn more. Please scroll below for details on the Limudei Kodesh curriculum, as well as info on the general studies curriculum. Application is open to Bochurim entering Mechina (8th gr) and Shiur א׳ only. Shiur ב׳ and ג׳ applications will only be considered in special circumstances. (Please contact the Hanhola before proceeding). Space is very limited. With a focus on each Bochur, we are very selective to ensure that our Talmidim will achieve the maximum benefit from our Yeshiva, and parents can be assured that their son will be in a wholesome environment free from any unwanted influences. The true bond is created by studying Torah. When you study my Maamarim, read the Sichos and associate with those dear to me – the Chassidic community and the Tmimim – in their learning and Farbrengens, and you fulfill my request regarding saying Tehillim and being careful with learning times – in this is Hiskashrus. In addition to our devoted staff, we are also very fortunate to be Zoche to a wonderful group of Bochurim Shluchim who, in addition to the Learning Mivtzahs, and Mivtzoyim that they’ll be arranging, will also be spending much time working with individual Bochurim and small groups to assist with those needing extra help, as well as to challenge more advanced Bochurim in higher level learning. They are full of Chayus and are a beautiful Chassidishe Dugma Chaya for the young Talmidim. Sending your child away is a very serious matter and sometimes a bit frightening. We want our parents to know that we understand that and are here to make that decision easier. You likely have many questions and concerns. Here are some common questions answered. Please feel free to contact the Yeshiva with any other questions. 1. Why should we consider Lev Tmimim for our son's Mesivta education? Mesivta years are, in a sense the most critical years of a child’s education. These are years of transition in which a child is making significant changes toward his adult years. These are the years of adolescence which will set the tone for his adult life. 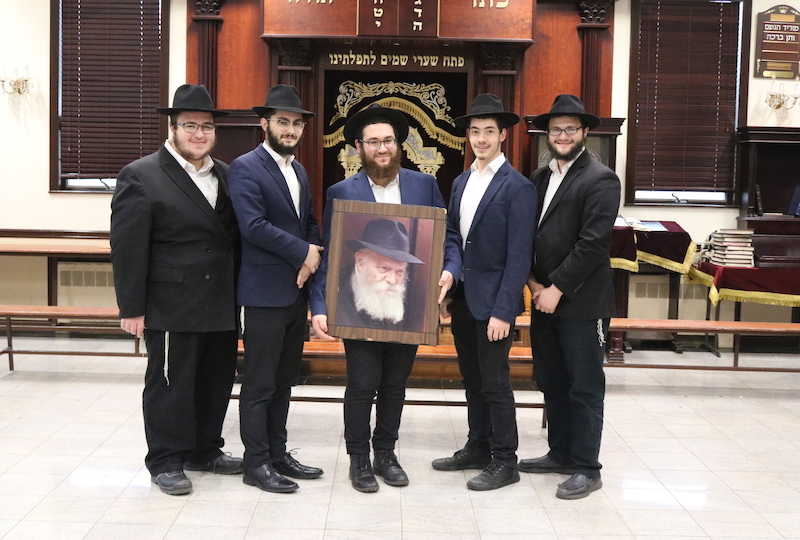 We have heard from many parents in the community that they are looking for a Yeshiva that addresses, not only their academic aspirations, and not only their desire for a Chassidic environment for their son, but a school that will look at the complete needs of the child. 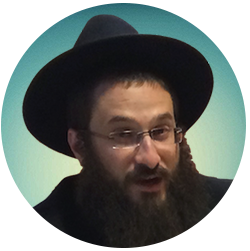 Parents don’t want to compromise on emotional wellbeing in the name of a “Chassidishe image”. Every child deserves to be in a safe wholesome environment, על טהרת הקודש, despite his level of learning and natural abilities. Any Bochur who desires such an environment and is willing to make the effort, is welcome to join our program. At Lev Tmimim, the Hanhola and staff begin each day with this in mind. Staff are trained to make a conscious decision to look at each Bochur – every day – as a work in progress, a human being who is developing and growing into who he will be for the rest of his life. Every interaction the child has with his teachers and peers will be part of forming who he will become and is therefore important. 2. How is the philosophy of MLTL unique? Everyone who had the Zchus to meet with the Rebbe, personally experienced in his presence this common feeling: they mattered. The Rebbe gave each person he met his full attention to the extent that people describe it as a feeling that nothing else existed at that moment. And the Rebbe imparted the sense that he believed in them and expected more of them. This is the foundation and approach of MLTL. Each Talmid has an infinite value – not because of his achievements, but based on his essential being – a חלק אלוקה ממעל ממש. And when a child feels that, and senses that his teachers and Hanhola believe in him and in his ultimate worth, then he believes in himself and his ability to achieve – academically, and spiritually – more than he thought possible. In a nutshell, whereas some may see an educator’s main goal to impart academic information and knowledge, and agree that emotional wellbeing is important, our approach is reversed – personal wellbeing is the foundation. For when a child feels cared for and valued, then his academic learning will also soar. 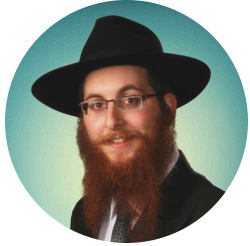 We believe that the ultimate goal is for the Talmid to grow up to be a well adjusted, happy and productive Chosid. Further, one of the great achievements of the Rebbe is his creation of leaders. 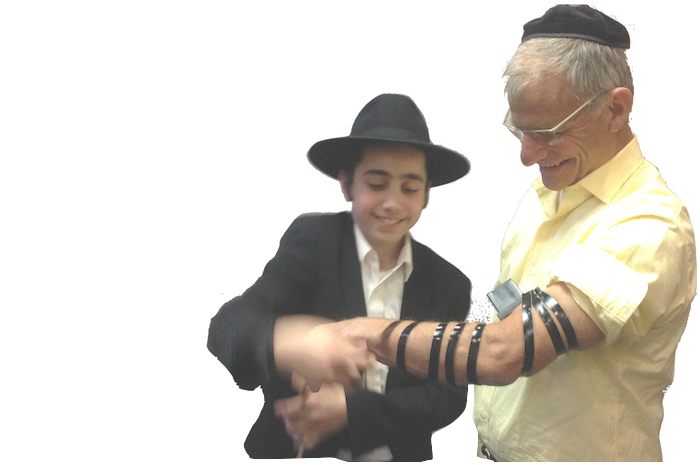 The Rebbe’s army of Shluchim, and Anash are people who together have turned the world around one Shliach, one Mivtzah, one Bochur, one Tefillin, or candle at a time. At MLTL leadership is communicating to each Bochur his worth and potential so clearly that he is inspired to see it in himself. And that Leadership attitude is brought out in each Bochur regarding everyone else. In other words, he is a leader when he helps his peers see the greatness in themselves. 3. How is the mission and philosophy of MLTL achieved? Is it real, or just "fluff" on your website? Lev Tmimim Lubavitch is like no other Yeshiva. Our mission is to Create Leaders one Bochur at a time. A leader does not mean a boss, a manager, a commander, or someone in charge (although a leader can be any of those). Rather, at MLTL leadership comes from communicating to each Bochur his worth and potential so clearly that he is inspired to see it in himself. And that Leadership attitude is brought out in each Bochur regarding everyone else. In other words, he is a leader when he helps his peers see the greatness in themselves. This goal is achieved through the Lev Tmimim philosophy which is based on the understanding that every child, indeed, every person, is good. Our children, just like every one of us, want and need to feel loved for the intrinsic good of who they are, not for their achievements. This is the meaning of Unconditional Love. The term Unconditional Love is quoted often, but many seem to misunderstand and misuse it. Our children and Talmidim may be experinecing Conditional Love just as often – and possibly even more often – specifically when we are showing love and approval to them, and not only when we get angry or disappointed with them. It is a mistake to believe that only when we lose our temper or are critical or judgmental of our child, then we are not showing unconditional love. When our child does something well and we shower them with love and praise, we are just as much sending them the message that their “lovability” and value is higher when they are “good” or successful. Of course it doesn’t feel as painful when we are showing them this affection, but it is undeniable that they hear that we “like” them more at those times, and being human, they will try to continue to receive that pleasant sense of love and approval by “doing good” for us again. This approach is actually seen by many parents, and even experts, as a healthy thing. In fact, it is used as a “technique” to further encourage – perhaps the appropriate word is “train” – our kids into continuing compliant behavior. It is very much a Skinnerian approach (referring to the famous psychologist who discovered that animals (and humans) can be “conditioned” to behave a certain way with reward and punishment). The belief is that if a child does something good, she will get a reward, and then she will seek to do the behavior again to get the reward again (or refrain from the negative behavior to avoid the punishment). Although conditioning does work and is an undisputed reality (for both animals and, Lehavdil, humans), we have to be very cautious of the “side effects” of pure behavioral conditioning. We must ask ourselves two very important questions. First, is our goal merely to get the child to behave or show good Middos? And second, is success achieved when our Talmid “complies” with all our demands and expectations? There is no doubt that when we own a pet, the reward and punishment system, and conditional approval works and is usually desirable. Our goal in those cases is to create a “compliant” animal. So each time the animal sits when commanded to, it makes sense to shower it with praise and treats. And when it soils the carpet, glowering at it to express our disapproval will help prevent that from happening again. The sad reality, is that for the most part this works with our children as well. And just like our pets, they will do whatever it takes to keep receiving that good feeling of approval and avoidance of our wrath or dissatisfaction. The danger in this approach is that the underlying message is that their value – their “lovability” and worth – is perceived by them as totally dependent – conditional – on behaving and doing things that make others happy. Why is this dangerous from a Chinuch perspective? Because that need for love and value will often drive us to do whatever it takes to get it. The pain of loneliness and feeling of worthlessness will cause us to do things that may not always be “good” or “right”, and often even downright bad and harmful – to ourselves and others. The whole concept of “peer pressure” is founded on such an upbringing. Teens are especially vulnerable to peer pressure because of this need to be valued and accepted. On the other hand, when a child has been raised with the internal message that he matters and is valued unconditionally, then he is much less likely to feel the need to please others with behaviors that are poor choices. His internal compass of right and wrong will be based on the values of Torah and Halacha that we teach him, and will not be swayed by the pressures of those around him. The key to achieving this kind of empowerment for our children and Talmidim is to be sure to show (and truly feel) unconditional love for them equally at all times. This comes about when we create space for them to sense their true self worth and satisfaction from themselves and not from our praise or approval of their achievements. How many of us were showered with praise when we came home with a good grade on a test? What can beat that powerful feeling of happiness and self worth when our mother or father gave us a huge smile and hug and congratulated us, telling us that “you made us so proud!”? However, take a moment to think about what happens at that point. Other than the momentary pleasure, what message are we left with? My parents hug me (=love me) more when I do well on my test. My parents are so happy (=I am good) when I get good grades. My parents are proud of me (=I have value in their eyes (and perhaps they now have value in the eyes of others)) when I succeed in school. It is really irrelevant if they tell me at other times that they love me. Even if they say they love me when I misbehave. The messages children receive – and adults as well – come in the body language, intonation, and most importantly, in the context of our interactions. Saying “I love you”, pales in the face of the strong emotional high I just received when my parents showed me with their words, intonation, actions, and expressions, how happy, proud, etc. they feel when I got a good grade. And as a human being, I will do whatever I can to keep getting those good feelings. As a result, through my parents’ good intentions, they denied my opportunity to feel the joy and satisfaction in MY success, in MY achievement, in MY progress, and in MY effort. All things that would help create an internal ability to feel valued regardless of external circumstances. Consider an alternative scenario where I come home with a good grade and run in to show my parents. They respond with a big smile and say “Wow! You look very proud of that. How does it feel?” Or “That’s wonderful, did you have to study a lot to achieve that? Was if difficult?”. Such a response guides me to notice MY part in the achievement. It shines the spotlight on ME and doesn’t sap away the value of the success by focusing on what my parents want/need (pride, happiness, status etc. ), but rather puts my awareness right where it should be – sensing and being conscious of how it feels internally to succeed and what brought me to that success (in other words, focusing on how I can achieve that again). This is the unconditional love approach to responding to our child’s achievements. Likewise, when our child does something wrong, if we show resentment or anger, or even what many believe is actually good, disapproval or disappointment, we are again sending a message of conditional love. This message hurts, and may therefore push the child to avoid doing the behavior in the future (be “trained”). But it will come together with a strong dose of conditional love. Even if we tell the child “I love you even when you get poor grades” but they see/hear/feel/sense our let down and disappointment, the FEELING and the MESSAGE is that the love is LESS than when they do the right thing. What our child needs when doing something wrong is A. to be TAUGHT what is wrong (if they in fact did not actually know), and B. be allowed to feel the NATURAL CONSEQUENCE of the misbehavior. When we replace the pain or discomfort of the natural consequence with the pain or discomfort of our emotions, then we rob them of the ability to learn the intrinsic negativity of the misconduct and rather only teach them that they must avoid letting us down (=feeling less loved). Let me be completely clear that I am not referring to permissiveness whatsoever. Unconditional love has nothing to do with allowing misbehaviors. On the contrary, with such an approach we can “afford” to set much clearer and stronger boundaries of what will be tolerated, without the risk of harming their self esteem because it stops being a judgment on them, but rather only a consequence of their behavior. [Granted that the natural consequence will not always be evident and the situation may need our input as parents or teachers in helping create the natural consequence, but that is completely different from an imposed punishment. This a the topic for a separate article]. Such an approach leaves absolutely no space for anger, lecturing, threatening, resentment and all the other expressions that many of us experienced as children (and often as adults as well) which lead us to do the same to our children. Most of us know too well the feelings of inadequacy and worthlessness that this brings. When those emotions are removed from our interactions with our children then we set the stage for unconditional love to truly be experienced. In such a way our children begin to experience that their value and worth are intrinsic – not dependent on the approval of their parents, and certainly not of their peers. They can then be guided to grow in a healthy and correct path, without being swayed by the need to gain approval through poor choices and outside negative influences. Such children grow to make good choices for themselves and those around them. This is the sign of a true leader. 4. Is MLTL an 'alternative' Yeshiva? Many observers have claimed that the Rebbe is not a ‘typical’ Rebbe, by any measure; that his approaches are “out of the box” and ‘unique’. Right from the start of the Rebbe’s Nesius, creativity and innovation were the Rebbe’s hallmarks. Whether it was the Mivtzoyim, or the Inyon of Shlichus itself, the style of his Torah, or the “public” Yechidus given to thousands at “Dollars”, everything the Rebbe taught us is about challenging the status quo and not being afraid to find novel ways to achieve the goal of Dira B’Tachtonim. We are critically aware that any innovation must be made al Pi Torah and Halacha and in strict adherence to guidelines of Rabbonim and Mashpiim. MLTL is only alternative if one thinks that the Rebbe’s vision is alternative. Our goal is to raise children in the Rebbe’s vision to the best of our understanding. Relationship is foundation. As we quoted the Rebbe above, Chinuch must come through love and connection, as we can tangibly see that education through revealed love is more effective than education through fear and awe. In this generation, when our children are struggling with so many challenges in the environment, how much more so must this be a guiding light in our Chinuch approach. 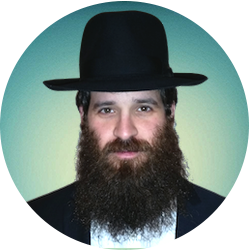 BeChitzoniyus, visibly speaking, Yeshiva life is standard as any other Chabad Mesivta. Seder begins at 7:45am with Chassidus, and ends 9pm with Seder Sichos. The morning Seder is Gemara L’Iyuna followed by Halacha, and Chazara, Inyonei Geulah Umoshiach, etc. Bochurim engage in Mivtzoyim Friday afternoons, and Farbrengens on Yomei D’Pagra, wear hats and jackets, and go to Mikvah. 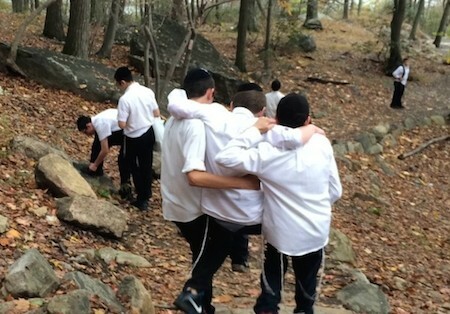 The uniqueness of the Yeshiva is seen less in static images, than being felt in day to day life, in the relationship between Hanhola and Talmidim, responsibilities given to them, and expectations that are lovingly, but firmly demanded of them. 5. I hear that your Yeshiva focuses on the emotional wellbeing of children. We believe in that and want that for our son. But does that mean that academics is of secondary importance in this Mesivta? Will my son learn, and learn how to learn? The following is a direct quote from a letter that the Rebbe wrote, as we mentioned above: It is not sufficient to learn a matter with the student, and assume that Hashem will help that the student will make the effort on his own. Rather one must make a special effort to learn with the student until he can understand it in his own terms (Hisvaduyos, 5749 pg. 409). We feel that what the Rebbe is saying is that in order for there to be success in learning, there have to be two components – ‘a special effort’, and ‘with the student’. Both of these ingredients are foundational in the philosophy of Mesivta Lev Tmimim. Teachers are trained specifically on how to approach each child with his unique style, and his needs. To answer your question directly, as explained in 2 above, we believe that when a child is happy, and emotionally strong, and confident in himself, then his learning and academic success will be improved many times over. We are absolutely committed to serious academic learning of both Nigleh and Chassidus and if your son is accepted to our program, then we commit to helping him improve his learning skills and achieving his maximum potential. Please read more about this here. 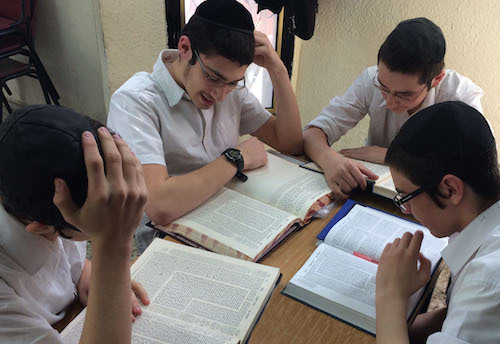 Unlike most Yeshivos, our Gemara classes are divided by level rather than grade. We feel this is the only way to ensure that your son will truly be learning to his fullest potential. Often when students are clumped into a class based solely on the year they were born, the result is that many students are lost because the level is too high, many are bored because it’s too low, and only some are appropriately challenged in their learning. 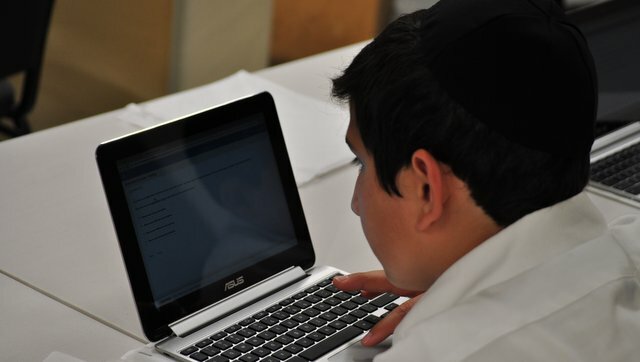 With our system, Talmidim range from traditional levels of learning including Rashi, Tosfos and Meforshim in the main class, and those needing a slower pace can receive fitting Shiur, while the Bochurim lagging more in their skills can work on the basics in a class meant for their current level. 6. What is the significance of the name Lev Tmimim? The Novi tells us that Eliyahu Hanovi will come and bring peace between the parents and their children. Apparently, certain rifts will take Eliyahu Hanovi himself to repair. On the other hand, the Rebbe says that through working to connect the older generation with children we can help hasten the coming of Eliyahu, and hence Moshiach. Also, the Rebbe has tasked us with living with Moshiach already now. So if we can find ways to “bridge the gap”, as the Rebbe writes, we can do both. 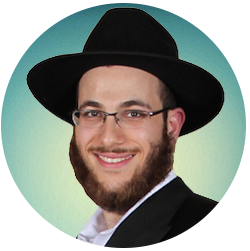 MLTL aims to help hasten the Geulah and the fulfillment of the Nevua of והשיב לב אבות על בנים ולב בנים על אבותם. We feel that the most powerful way to do that is to listen and hear what is going on in the hearts of our children and Talmidim – Lev Banim, Lev Tmimim. A message we stress to all our teachers is that they seek first to understand before being understood. Whereas too often in classrooms the teacher’s goal is that the student understand the teacher, resulting in very often the opposite result – our approach is to make sure that the child feels he is understood. When this is realized, then his heart and mind are more open to hearing what he is being taught. We learn this from the Rebbe. The stories and examples of the Rebbe giving his full attention to Chassidim are too numerous to even attempt to count. The common theme is that the Rebbe makes people feel empowered to achieve much more than they thought was possible. The Rebbe simply saw the true infinite value inside every Yid he met with, and that released their potential for success. 7. What is your policy regarding cell phones and electronic devices? As our underlying mission is to ensure the emotional wellbeing of the Talmid, we understand the importance of communication between parents and children. And we strongly encourage every Bochur to be in close contact with parents regularly. We recognize the difficulty to do so when a child is away from home and the Brocha of cell phones is a welcome development in this area. However, one of the most important commitments we make to the parents of our Talmidim is to provide their son with a safe environment. We want every parent to feel confident that when they send their son away from home, he will not be exposed, Ch”V, to unhealthy influences and content. Likewise, it is obvious that today’s devices are a tremendous distraction that makes learning and growing as a Tomim even more difficult. In order to balance both of these needs, we have found that a strictly enforced policy regarding content and usage, with a liberal allowance of possession of the phone is an effective means of achieving these goals. As such, we allow Bochurim to have their own cell phones and they may keep them throughout the week. At the same time, we are very serious about the type of device and the content available on these devices, as well the times they may be used. A Tomim in our Yeshiva may only have a phone which is NOT a “smart-phone” and has no ability to connect to the internet (including Cell/Wifi or any other connection). Simply canceling the Internet service on the phone’s line is not sufficient. Furthermore, phones may not have any texting service available on the phone. We understand that texting is a very convenient and useful means of communication with your child, but at the same time, it is a significant distraction and risk as well. Adhering to this policy enables us to allow Bochurim to keep their phones with them throughout the week in a practical way, thereby enabling parents to reach their children much more flexibly than the other option of taking phones away during the week. We feel that most parents will appreciate the adherence to this policy and the peace of mind that they will have knowing that their son will not be exposed to unhealthy content from peers. If this policy will be difficult for you to accept, please reconsider wether this is the best Mosad for your son. Please feel free to click here to contact the Hanhola to discuss this further if you wish. 8. Do you have a policy on child safety and how do you ensure the protection of your Talmidim from abusive situations? That is a very important question and we take a very strong stance on this matter. Please read our full policy and guidelines on the Child Safety page. 9. What is your alcohol policy? Saying L’chaim is an integral part of the culture of Chassidim, M’Dorei Doros. The Rebbe gave out L’Chaims on many occasions, and Chassidim Farbreng and wish each other many Brochos over a Glezel Mashke. We are not going to minimize the significance of this important Minhag. Nevertheless, at MLTL we firmly believe that alcohol consumption at the young Mesivta age is not appropriate and at this stage of their lives, Bochurim stand more to be harmed, than to gain from engaging in drinking. As such, as a general rule, we do not allow Bochurim to say L’Chaim on Mashke. Our Farbrengens are filled with energy and Chayus fanned by the Chassidishe Ma’ases, Niggunim, and Divrei Malchus being shared, and we don’t feel the Talmidim need the assistance of alcohol to achieve the desired effects. At Farbrengens ALL Talmidim are encouraged to participate actively, to share – whether a D’var Torah, a story, a question, or just lead a Niggun. Farbrengens are opportunities for the Bochurim to connect with each other and with the Rebbes and utilize the inspiration for personal growth and Hachlotos Tovos. 10. What kind of boys do you accept to your Yeshiva? This is probably the most important question to ask and we get asked this very often. Please see this blog post for the long answer and comprehensive reply to this question. 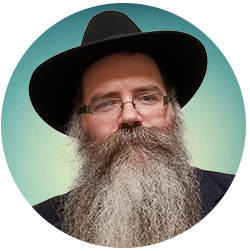 The short answer: Any Bochur who is seeking a serious Chabad Chinuch, including Nigleh, Chassidus and an atmosphere of Chassidishkeit is welcome to apply. 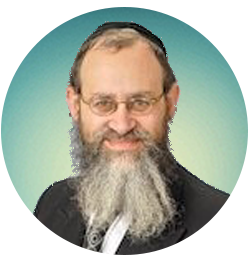 Being that we offer Limudei Chol, we have found that it is important to make very clear that the expectations of Yiddishkeit and Tahara are not in any way decreased and if a Bochur does not recognize that, he will likely not be accepted, nor satisfied in the Mesivta. The program is a very warm and caring one, but at the same time with very high expectations and clear structure. A Talmid who applies to MLTL must be able to learn and behave in a typical school setting. The Mesivta does not have the facilities and resources for unique challenges – behavioral, emotional, or religious. In short, our approach is to offer the same care, involvement, and effort for mainstream Bochurim, that often is reserved only for non-mainstream boys. BUT we do not have the ability to cater to those beyond the mainstream spectrum. However, we will be happy to suggest alternatives if you would like to contact the Hanhola for suggestions and guidance for such a situation. 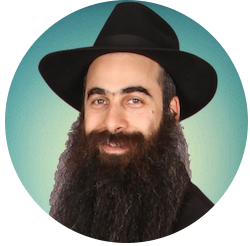 If this sounds like the right Yeshiva you are seeking for your son, click here to apply. 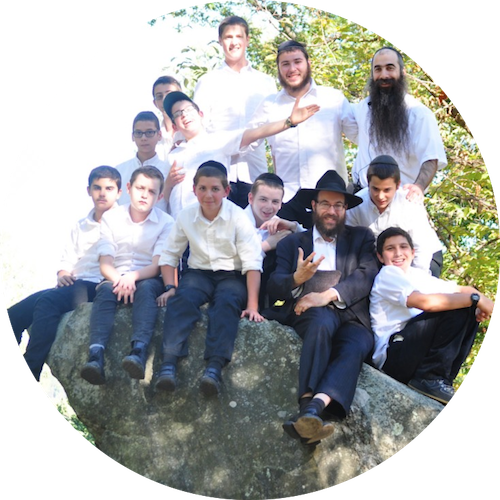 If you’d like other suggestions or guidance with your son, please click here to contact the Rosh Yeshiva. 11. What is the Mechina (8th gr) program? Traditionally, Chabad Mesivta in the US are three years of schooling equivalent to 9th – 11th grades. In Europe and some other places, some Mesivtas begin the year before, with a grade for boys in their Bar Mitzvah year – 8th gr. There are many advantages to such an approach, and especially in situations where there is not an ideal schooling environment, such as out of town communities, and families on Shlichus. Over the last few years we have accepted individual students in such situations and it has been very beneficial for them although not ideal as they joined the Shiur Aleph class a year early. Therefore, due to many requests from Anash and families of Shluchim with boys too old to attend the local day schools in out of town communities, we have opened a formal Mechina class. 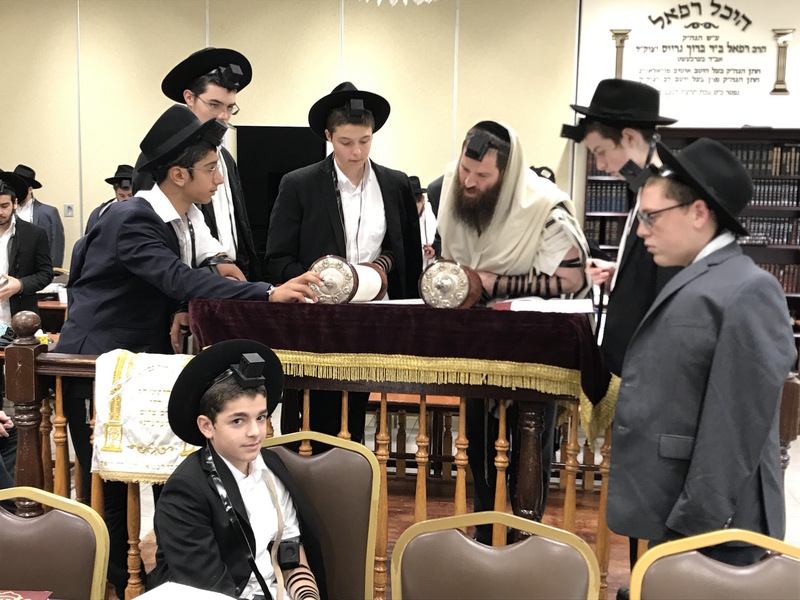 The Mesivta Mechina program is for boys who have completed 7th grade, are in their Bar Mitzvah year, and are seeking to develop in their learning, Avodah, and personal growth. The Mechina Shiur is currently limited to approximately ten Talmidim who are mature enough and prepared to live away from home, coming with strong learning skills and Chassidishe Midos and Hanhoga. The program is guided by a Mechanech dedicated specifically to this grade with curriculum and programming geared towards nurturing and developing the boys at this transition period. If you’re question is not answered feel free to reach out to us today.